The best tailgate in the history of tailgates? What do you do when it’s so cold out that your beer freezes? You put your beer the grill! This guy right here knows how to get it done in tough conditions before the Packers-49ers game. Good thinking, sir. Job well done. 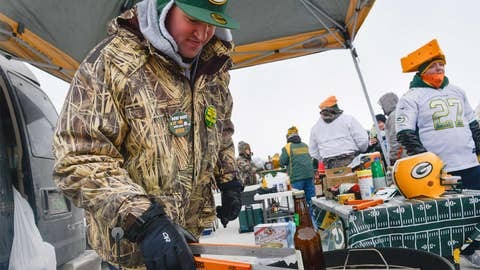 Jon Eiseoe attempts to thaw a beer prior to the game between the Green Bay Packers and the San Francisco 49ers.